“I have always believed that putting myself in my client’s shoes is central to building the right strategic approach." A past president and managing partner of Liskow & Lewis, Don Abaunza has nearly 50 years of experience representing clients in admiralty, energy and commercial law. His practice includes trials, contract negotiations, and arbitrations. 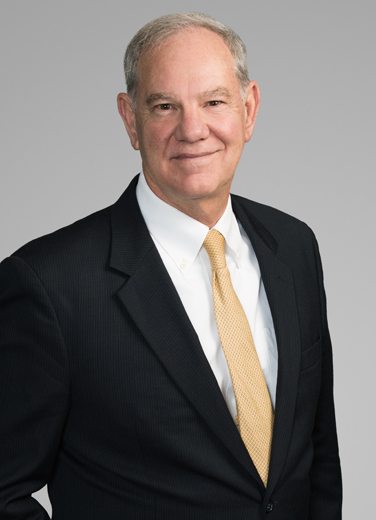 Don has served as lead trial counsel in cases involving maritime issues, products liability, oil and gas casualty matters, contract disputes, pipeline accidents, construction litigation, and insurance matters. His extensive experience also includes drafting contracts involving offshore drilling, vessel construction. Don has long been recognized for his leadership, strategic guidance and professionalism. In addition to leading Liskow & Lewis as Managing Partner for 8 years, Don was named one of the top ten attorneys in Louisiana and has been recognized as a leader in the profession in Chambers USA, The Best Lawyers in America, and Louisiana Super Lawyers. Don was inducted as a Fellow in the American College of Trial Lawyers in 1994. He has been listed in Who's Who of the World for more than 20 years. He taught a trial advocacy course at Tulane University Law School for 10 years. In 2008, he was awarded the Distinguished Maritime Attorney Award from the New Orleans Bar Association, and The Best Lawyers in America selected him as the Distinguished Admiralty Lawyer of the Year. Defending a company in a case involving an accident in the Philippines which resulted in over 4,000 deaths. The case is still pending. Representing defendants in the Piper Alpha disaster in the North Sea and the Ocean Ranger incident in Canada. Trial counsel in a significant case involving an alleged contamination by oil and gas operations. Counsel in a case involving offshore damages in a hurricane. Don also has extensive experience as an arbitrator as well as counsel for parties in arbitration matters. He has served as arbitrator in disputes involving marine casualties, commercial contract disputes, and vessel construction. Don is a frequent speaker at meetings of oil and gas trade associations, law schools, bar associations, defense counsel groups and corporate managers on energy subjects, litigation issues, arbitration, ethics, and insurance-related matters. New Orleans "Best Lawyers 2011 Maritime Lawyer of the Year"